With well-known celebrities such as Arianna Huffington and leading healthcare providers talking about the multiple benefits of sleep over the last couple of years, we’ve finally started to listen to our bodies and appreciate how more time in bed can make a positive impact on our lives. 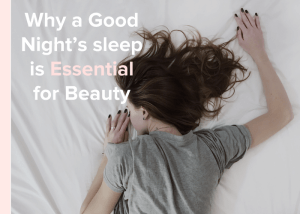 But do those extra hours of rest really make a significant impact on our overall beauty, or are they simply a myth to encourage us to invest in more ‘sleep enhancing’ products? We wanted to find out more, so explored 5 reasons why sleep really is essential for beauty. When it comes to effective skin repair, there’s no better remedy than sleep. 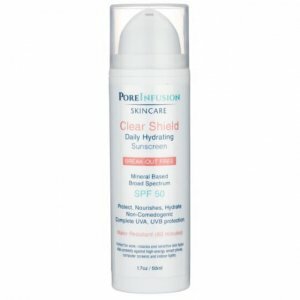 Allowing yourself to rest well for between 7-9 hours every night, gives your skin the opportunity to rejuvenate itself. When you get a good night’s sleep, you’re allowing your cells time to renew and rebuild themselves, especially during the middle 2 hours of your sleep pattern, when REM (rapid eye movement) starts to occur. 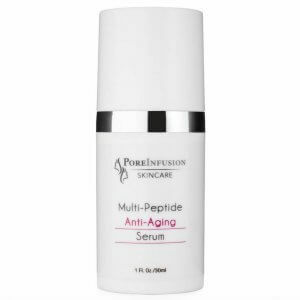 The production of melatonin (a key skin protecting antioxidant) also increases when resting, which helps to combat premature signs of aging and fine lines and wrinkles. The stress hormone cortisol (which has been linked to thinning skin and breakouts) is reduced. In addition to the above, growth hormones get to work. 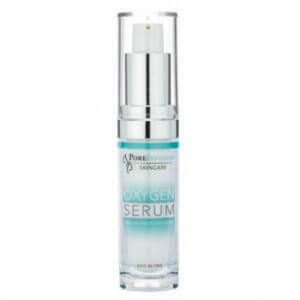 As part of their role, they start to regenerate collagen-producing cells which help to firm and tighten the skin. In simple terms, if you’re looking for ways to help maintain clear, beautiful skin, then more sleep should be at the top of the list. 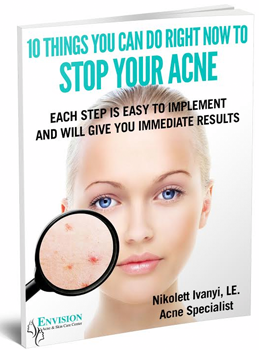 Have you ever wondered why you wake up some mornings with a dull and unhealthy looking complexion, especially sleeping poorly? When resting, the blood flowing to your skin increases, giving you that natural alluring glow. If you’ve had an unsettled night’s sleep, or consumed too much alcohol (which has a dehydrating effect on the skin), your complexion will suffer. As your skin loses moisture when sleeping, it’s important to keep it topically hydrated with the application of a suitable night cream before you go to bed to encourage the renewal process. 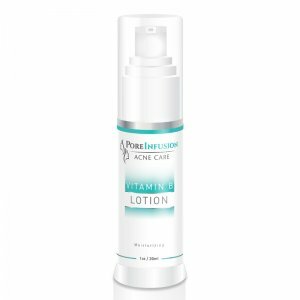 Products such as our PoreInfusion deep hydration cream support intra-cellular activity and attract moisture to the surface of the skin through the ingredients it contains, such as hyaluronic acid and squalane, making it a perfect bedtime partner. If you spend long hours each day in front of a computer screen, in an air conditioned building or reading large amounts of printed data, then chances are you’re probably suffering in some form from tired, dry, puffy or itchy eyes. Getting sufficient sleep is essential to improved eye health. Being overtired can slow your blink rate down which results in your eyes not being sufficiently lubricated, leading to irritation. A good night’s sleep also helps to keep your eyes looking bright and alert, as oxygen and nutrients are delivered to them from the capillaries. According to the National Sleep Foundation, a lack of sleep is believed to be connected to an increased risk of obesity. While scientific studies into the exact links are still ongoing, many clinical researchers believe that insufficient levels of rest can contribute to weight gain due to the changes, which our hormones undergo as we sleep. Hormones such as leptin and ghrelin, for example, have a direct impact on our weight control, by either increasing our appetite, or informing our brain that we are full. When we’re sleep deprived, there is a greater tendency to consume larger portions of high carb, sugar-packed foods to boost energy levels and keep us going throughout the day. The bottom line is if you want to keep those food cravings at bay and feel refreshed, then sleep is the number one tool which will help keep your diet on track and those excess pounds away from your hips. According to various studies which have been undertaken on the benefits of sleep, it is a fact that we appear more attractive and healthy to others when we’ve had a good night’s sleep. In fact the Medical Institutet Karolinska in Sweden reported that individuals who looked tired and exhausted were thought to look less approachable. And if that wasn’t enough proof to take every opportunity to take a power nap, a 2007 study from the University of California, Berkeley and Harvard Medical School used a process called functioning magnetic resonance imaging to demonstrate that when sleep deprived, our brains simply aren’t as emotionally reactive as they have the potential to be. Another very good reason to switch off your phone before bedtime, relax your body and indulge in a restful night. It’s time that we all started to take sleep seriously and appreciate the multiple benefits it can bring. In addition to applying topical products to your skin before bedtime, it’s important to stay hydrated by consuming water daily, avoiding sugary foods, and staying away from dehydrating drinks when possible. Snacking on fruits and vegetables rich in water and antioxidants is a great way to optimise skincare health and help keep acne under control.